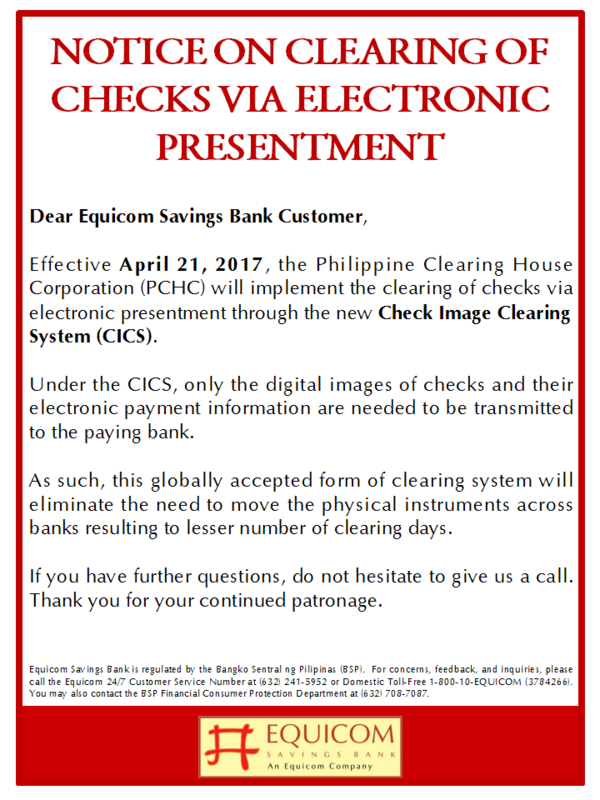 Are you one of the millions who are constantly saddled with the unending problem of paying for your regular purchases of goods and services for your daily needs? 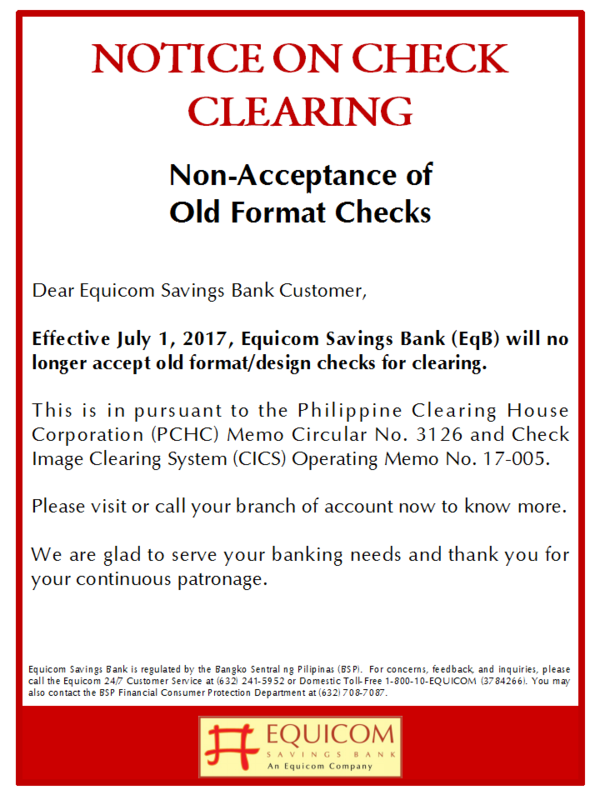 If you are, worry no more. 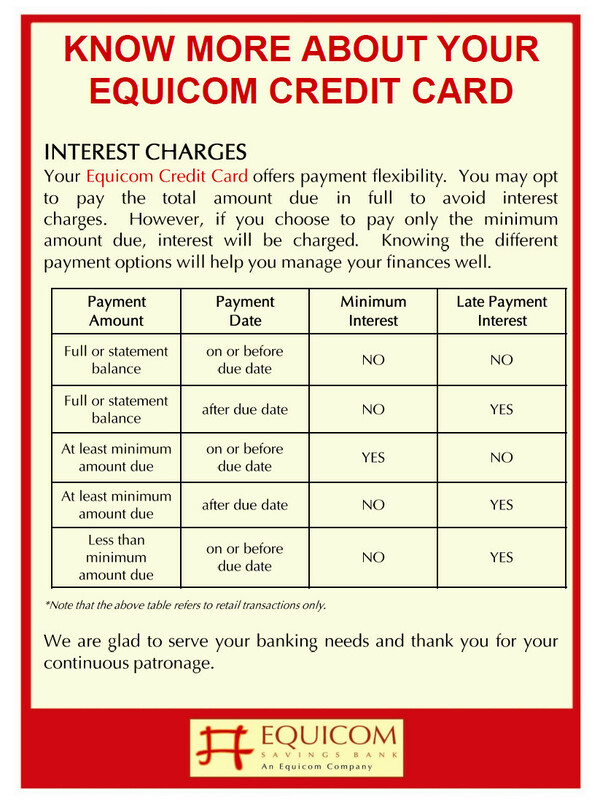 The ongoing Equicom Savings Bank (EqB) Payment Deals program provides a practical, convenient and hassle-free way to get out of your debt predicament. 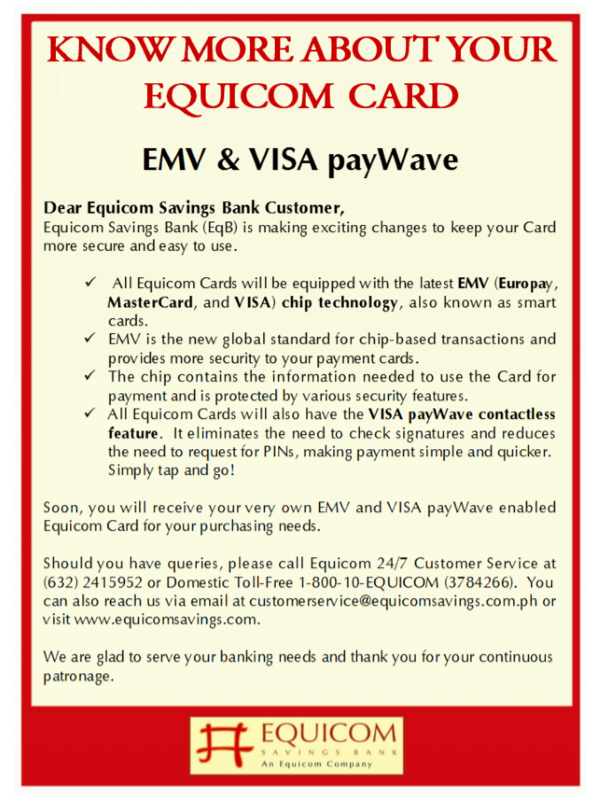 Open to all active and current Equicom credit cardholders in good standing, the program basically consists of converting a cardholder’s straight purchases in all accredited establishments to easy and light installment payments. 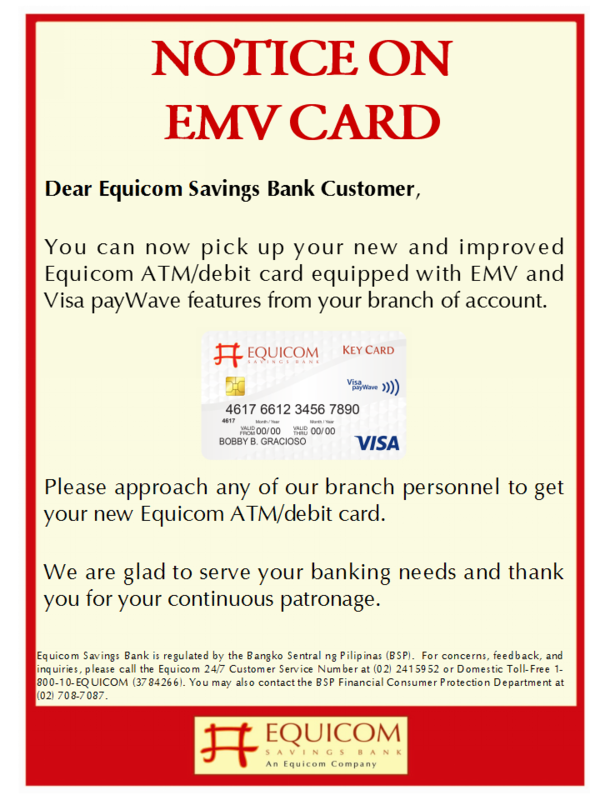 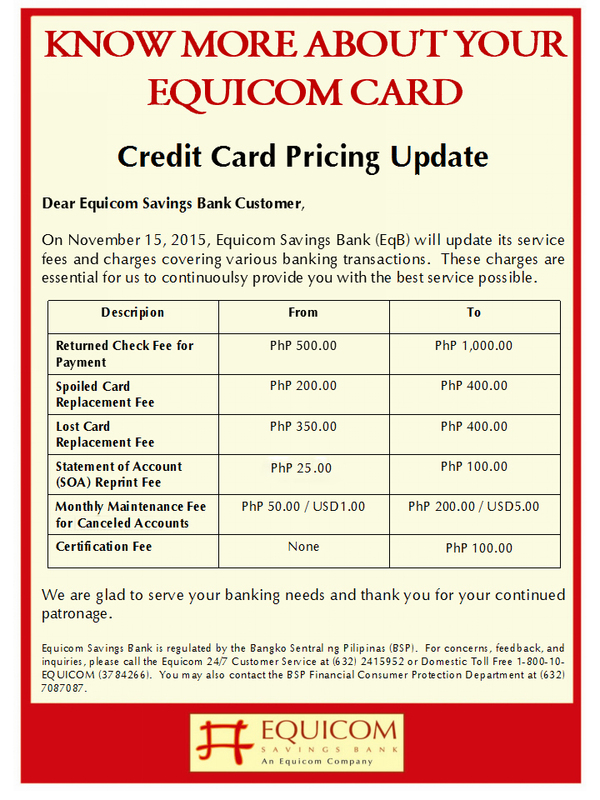 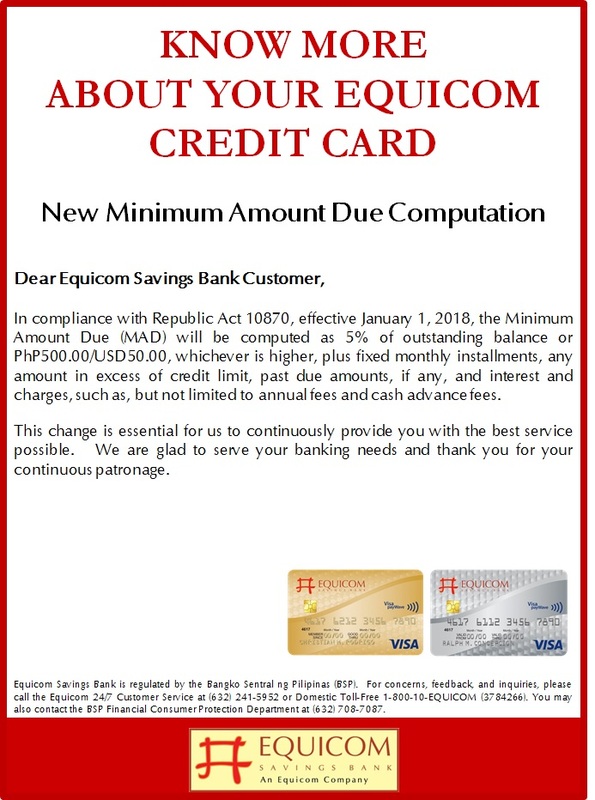 Equicom credit cardholders with an accumulated purchase of P5,000 may convert their straight purchases to monthly installments provided that the monthly amortization is within the card’s available credit limit, and that the net amount is within the available line at the time of availment. 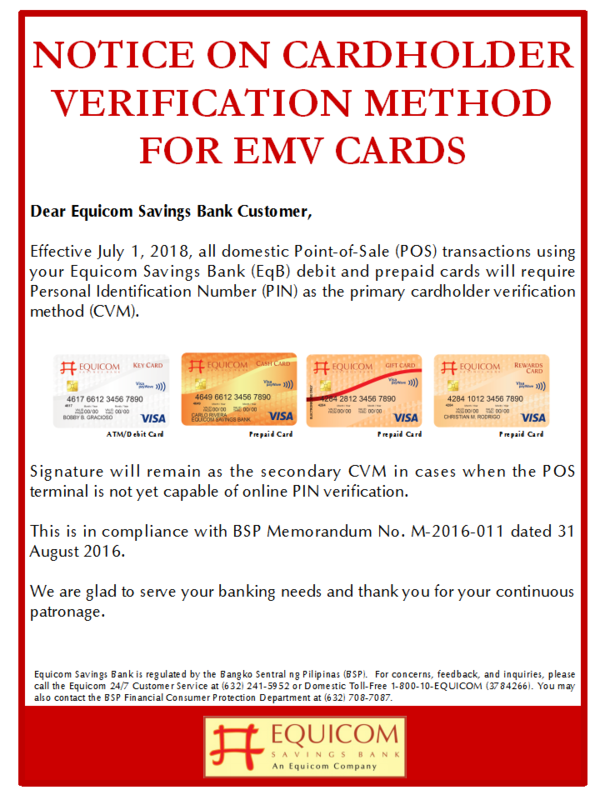 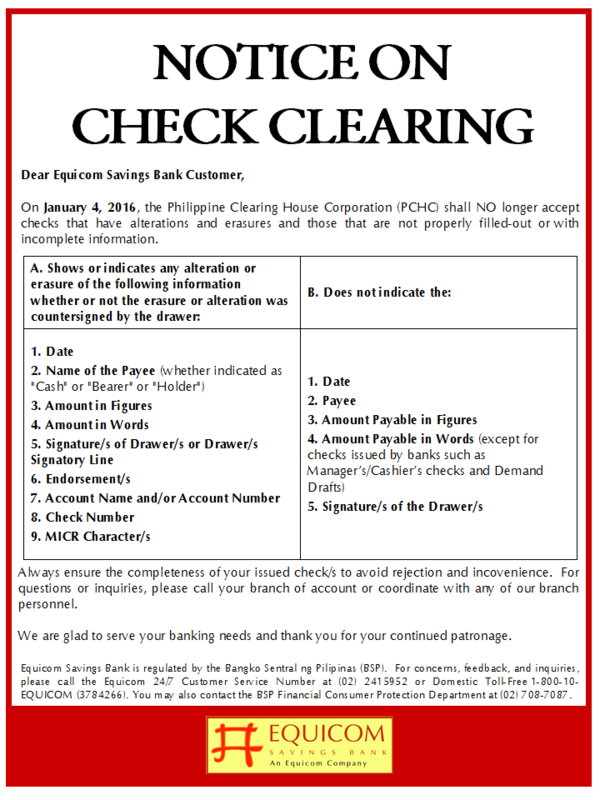 The conversion scheme may be availed of anytime until March 31 provided that the straight purchases are made one month before the request has been posted on the cardholders’ accounts. 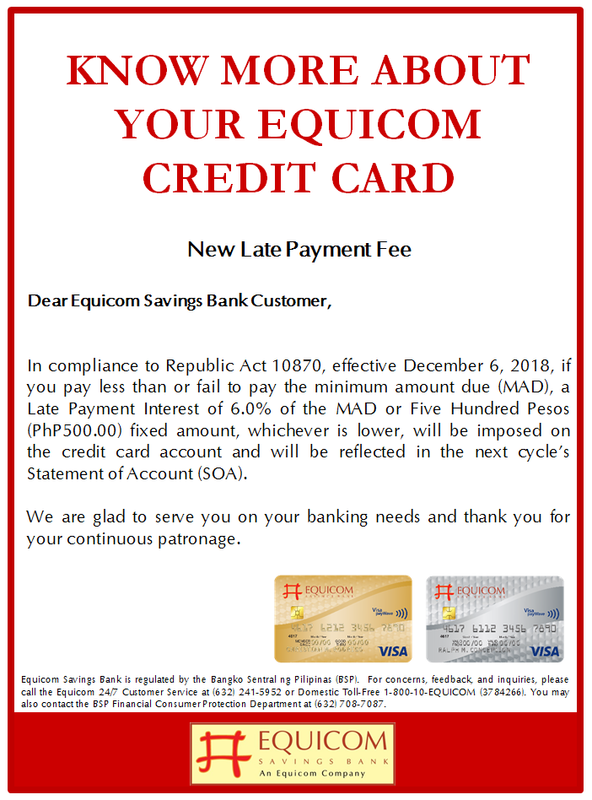 Under the EqB Payment Deals Program, the monthly installments shall be subject to the following terms and rates: 3 months – 1.25%; 6 months – 1.25%; and 12 months – 1.00%. 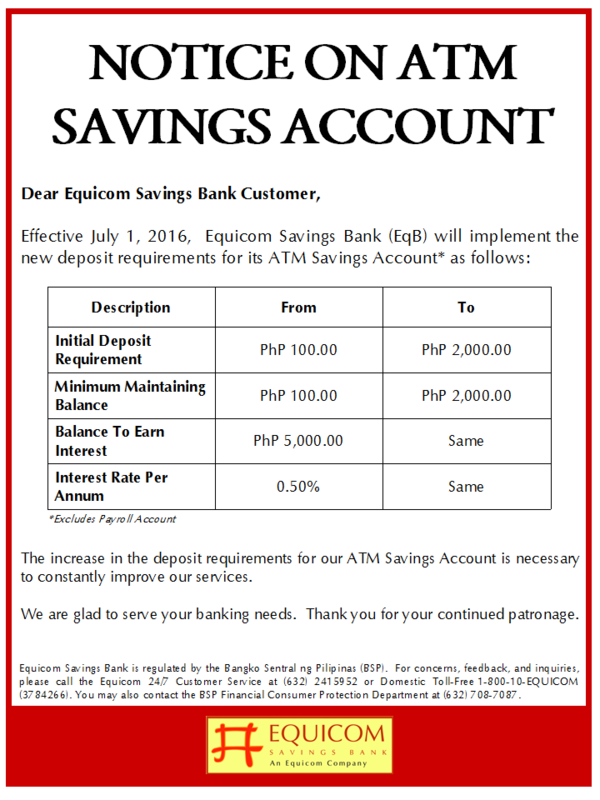 If only a portion of the monthly amortization is paid, the corresponding late charges shall apply. 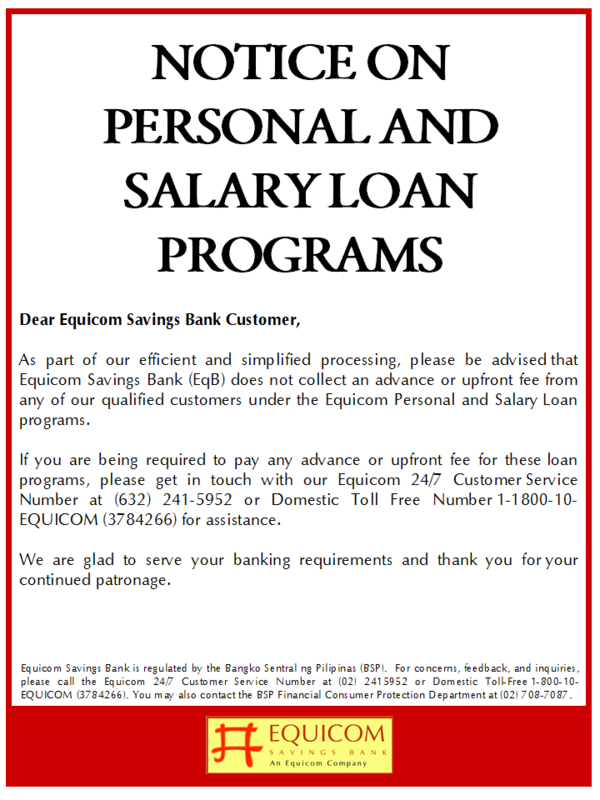 Applications for availment of the EqB Payment Deals Program shall be subject to the approval of Equicom Savings Bank based on its existing policies. 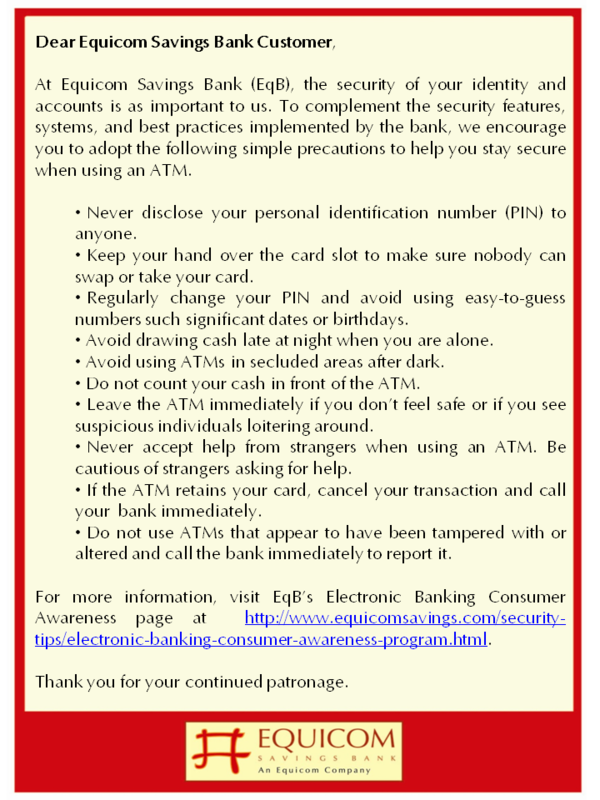 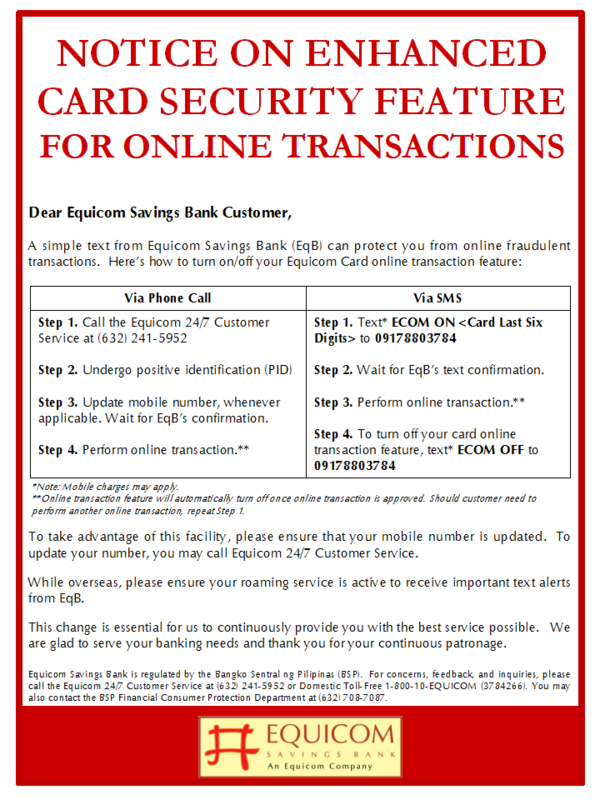 Thus, if a cardholder has no sufficient available credit limit, the bank has the discretion to approve only a portion of the amount applied for. 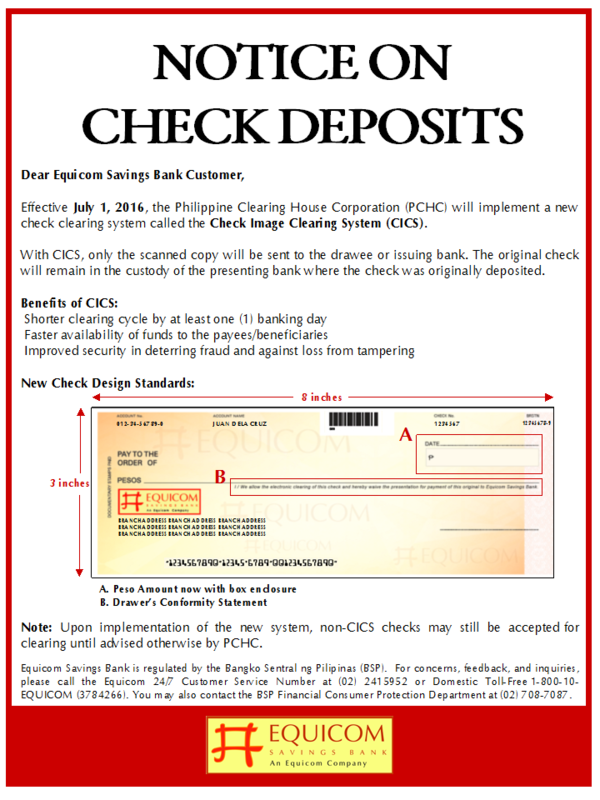 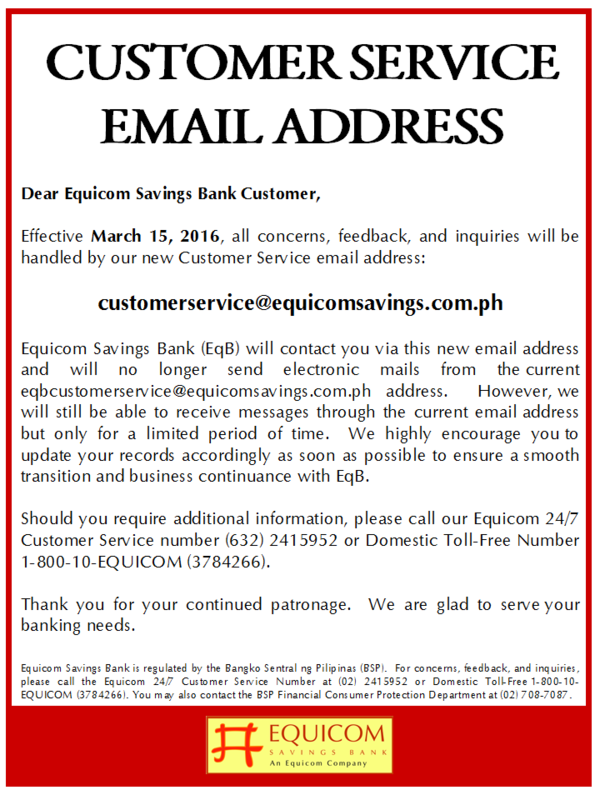 The EqB Payment Deals program runs until March 31, 2010. 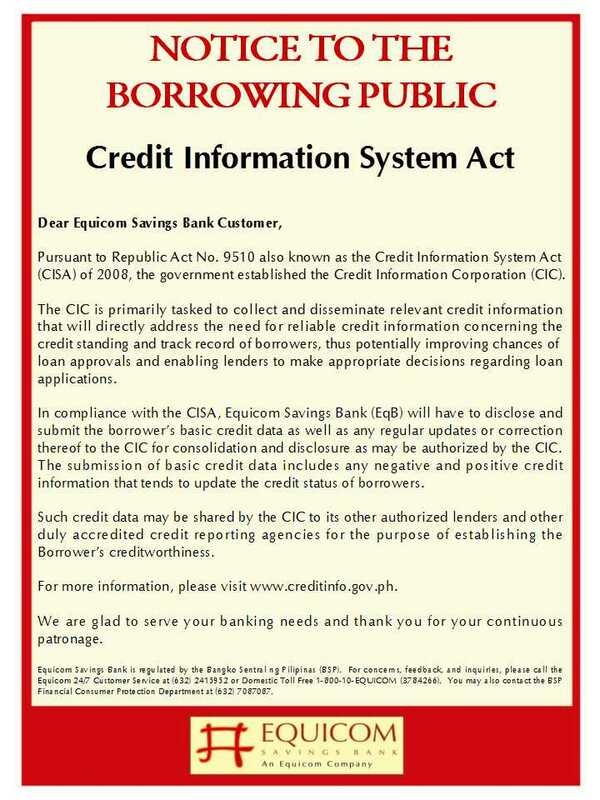 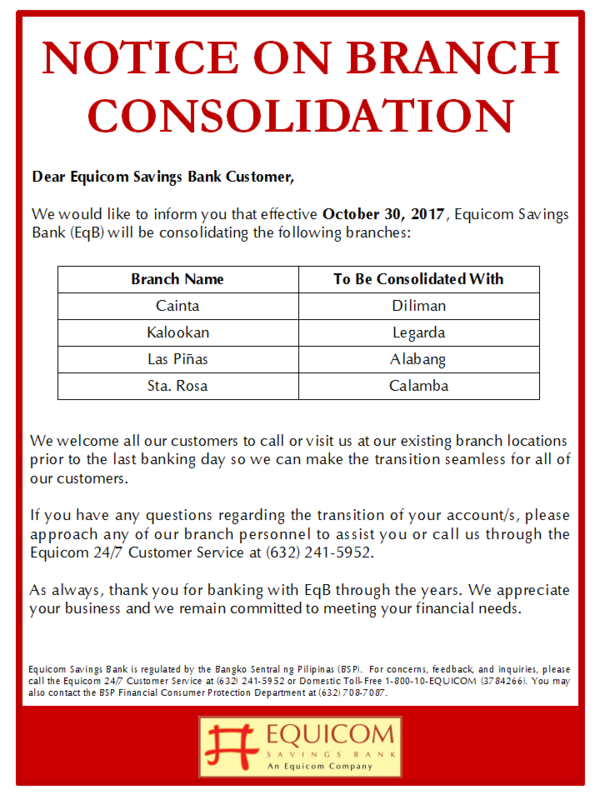 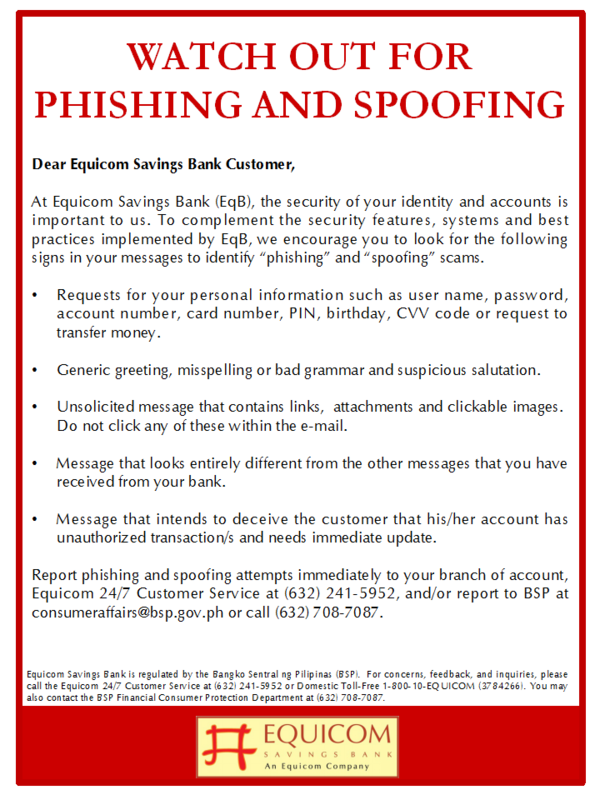 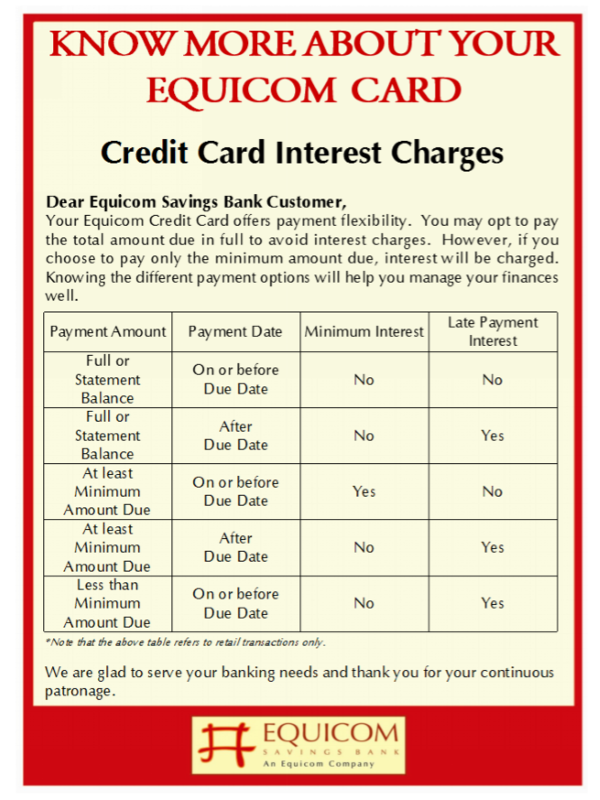 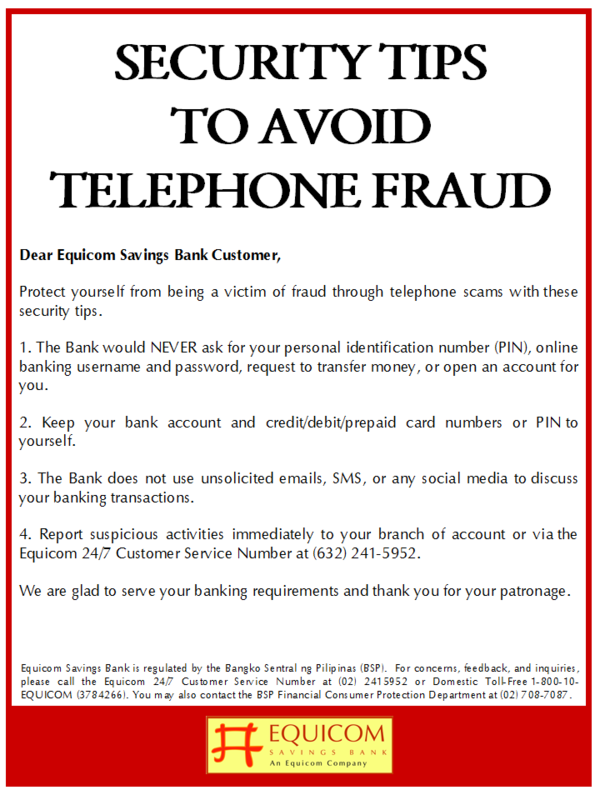 For application and other inquiries, Equicom credit cardholders may call the 24-hour EqB Hotlines at 2415952 or 1-800-10-EQUICOM (3784266) or visit the website – www.equicomsavings.com.